For people who have never interviewed a musician or celebrity, in most cases you’re on the clock as soon as they answer the phone. You have 20 minutes, maybe 30 if you’re lucky, and sometimes there’s even an agent or manager on the other line monitoring the call and letting you know when it’s time to shut it down. Paul O’Neill was a different kind of dude, though. He called you personally, and I never had a conversation that lasted less than an hour with him. One memorable interview, the last I did with him in 2012 when TSO was touring a full performance of Beethoven’s Last Night, went nearly two hours, and even then, I was the one who had to cut it off because I had to get back to work. I didn’t want to. He was that engaging, and after each chat, I admired him all the more for his passion about his work and his fans. During our conversations, we covered the necessary details to put together a story promoting the local TSO performance, but we also rambled here and there. He told fantastic stories about friends like Savatage vocalist Jon Oliva and TSO bandleader Al Pitrelli. He told wonderful stories about his own life. He discussed the visions for past and future works in detail, and let me in on little interesting tidbits of trivia – for example, there’s a hidden photo in the album liner of Savatage’s last studio album Poets & Madmen, not because it was intentionally hidden, but because the record company was going bankrupt and refused to spring for clear backs on the CD cases. Paul was always warm and welcoming, willing to talk about pretty much anything that you wanted to. But, every now and then, you could see flashes of the tough-as-nails New Yorker coming through, usually in a joking way. We talked about things that were never going to make it into the 18-inch news story that I was writing on the band’s performance, and I’m sure Paul knew that. He was doing his duty to promote TSO, but he was also entertaining a fan, and at that, he was a true master. He always went the extra mile to make me feel comfortable and make my coverage of his work feel appreciated. Not an interview went by without him telling me several times to call his agent or manager and tell them to send me this or that. The first time I spoke with him, he told me to call his manager to make sure I had good seats for the show, and they did. I saw the second of many TSO shows from the first row, where I could reach out and touch the stage. It was a night that I will never forget. I sat next to the proud parents of one of the vocalists who was making his debut with the band that year and had a great conversation with them. They also played my favorite TSO Christmas song that night, “Christmas Nights in Blue,” and upon seeing my enthusiasm for the song as I sang along, several members of the band came over to play directly to me. It was a fantastic evening that would not have been possible without Paul’s hospitality. But my journey with Paul O’Neill begins long before TSO and long before I ever thought about interviewing anyone. My first contact with his work was probably Aerosmith’s Classics Live albums, though I didn’t really know or care at the time who the producer on those was. The bigger impact that he would have on me came with Savatage’s 1987 album Hall of the Mountain King. I didn’t know the full story until I interviewed him the first time. I was writing a piece about TSO, of course, but being the excited fanboy that I was, my first question out of the gate was about Savatage. He warmed quickly to the subject and to me. I like to think that my near-worship of his work with Savatage was one of the reasons he was so gracious with me over the years, but I also suspect that he treated everyone that way. At any rate, he told me the tale of how he became involved with the band. Atlantic Records was ready to drop Savatage after the poor response to their second album for the label Fight for the Rock. Atlantic approached O’Neill and told him they’d give the band another chance, if he agreed to produce their next record. He went down to Florida to see them live and was impressed, particularly by the range of vocalist Jon Oliva. He agreed to take on the challenge, and it was a match made in heaven. The result is a metal classic and, arguably, Savatage’s finest moment. Paul helped them restore the metal credibility they’d lost with the pop-rock sound of Fight for the Rock, but he also began to shape the future of the band. “Prelude to Madness,” a metal take on Grieg’s “In the Hall of the Mountain King,” was the first inkling of what was to come. On the next album, Gutter Ballet, he encouraged Jon to play keys and brought in strings and other symphonic elements. By their third record together, 1991’s Streets, he had convinced them to do a full rock opera, and it was fantastic. In my mind, it remains the best metal concept album ever recorded. Savatage faced challenges in the 1990s, beginning with Jon Oliva’s decision to step down as the lead vocalist for Edge of Thorns in 1993, and the death of guitarist Criss Oliva, who was killed by a drunk driver later that same year. Through it all, Paul O’Neill and Jon Oliva pushed the band to new heights, the music becoming ever more symphonic and complex. It wasn’t until 1995 that Paul would show his hand on what he had planned next. Savatage’s Dead Winter Dead, a concept album about the Bosnian war, featured what would become his most well-known composition – an instrumental piece called “Christmas Eve (Sarajevo 12/24).” It was a strange piece of Christmas music on a metal album, blending “God Rest Ye Merry Gentlemen” and “The Carol of the Bells,” with the rock flair of O’Neill and Oliva. Little did we know that, years later, the song would become a holiday staple at football stadiums, supermarkets and shopping malls. That was the seed of Trans-Siberian Orchestra, which came to full fruition with the release of Christmas Eve and Other Stories the following year. Even O’Neill admitted that he didn’t realize what he had. He described it as “lucking into a Tchaikovsky,” referencing the composer’s “Nutcracker” ballet, which grew into a surprise Christmas staple. It took a little while, but O’Neill built TSO into his vision. It’s now one of the top-grossing touring acts every year, covering the country with two troupes of musicians and selling out shows wherever they stop with their bombastic holiday celebration. It also continues his spirit of giving. One of the points that Paul O’Neill was always proudest of when he talked about TSO was the fact that, at each performance, the band gave a percentage of profits to a local charity, keeping people’s money in their area to do good there. The crowd at a TSO concert is often an interesting mix. 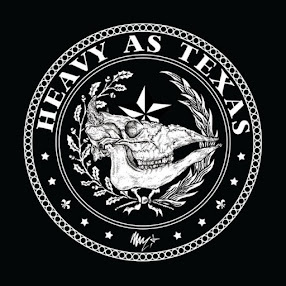 You’ll see metal dudes like me in jeans and old concert T-shirts, who explode with excitement whenever the band cranks out its version of an old Savatage tune. You’ll see very dignified older people who look dressed for a night at the theater. And you’ll see all walks of life in between. That, to me, is another stroke of genius, the ultimate message that no matter their status, people aren’t really that different. In creating TSO, O’Neill took the elements of symphonic metal, the basic building blocks of the Savatage sound, and blended them with classical, holiday music, blues, jazz, gospel and an impressive light and pyro show. He did it so masterfully that people who would be aghast at the very suggestion that they might like heavy metal music sit and tap their toe or bob their head to what is, essentially at its core, Savatage. Even my mom owns and appreciates a couple of TSO albums, and I can assure you from having spent many years in her house that she appreciates nothing about metal. One of his last great accomplishments came in the summer of 2015 at the Wacken Open Air festival in Germany, when he finally got Savatage back together for a stunning two-stage side-by-side performance that featured that band on one stage and TSO on the other, trading songs through the night with all of the pyro and bombast that he was known for. It was a performance that I would have given anything to see in person and hope to get to at least see on an official video release one day. Paul was passionate about his music, passionate about his fans and passionate about helping others. I asked him a couple of times over the years whether he expected TSO to live on after he was gone, and he always said that it was his sincere hope that it would go on for years to come. It was not only his life’s work, but something he felt was needed in our world. 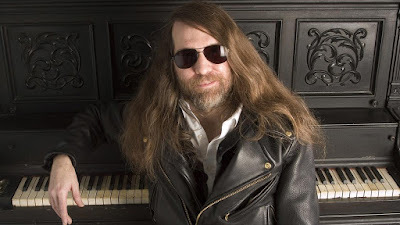 No matter what happens with TSO or whether the Romanovs or Gutter Ballet projects ever see the light of day, Paul O’Neill certainly accomplished his mission in bringing joy to the lives of millions of fans. His light will be missed. Paul O'Neill definitely was one of the most renowned personalities in the industry, he was not only famous for his work but for his personality also.